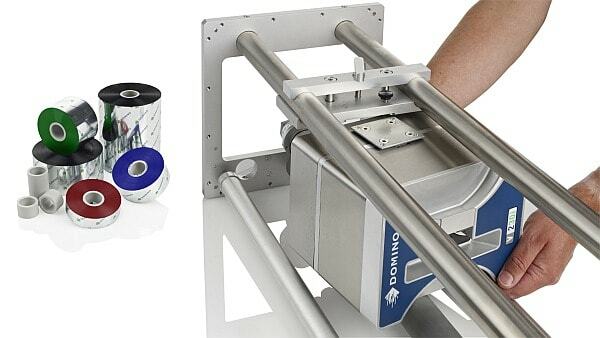 All Domino consumables are developed with your production requirements in mind and under strict quality control. This is your guarantee of optimum quality, performance, reliability and supply. 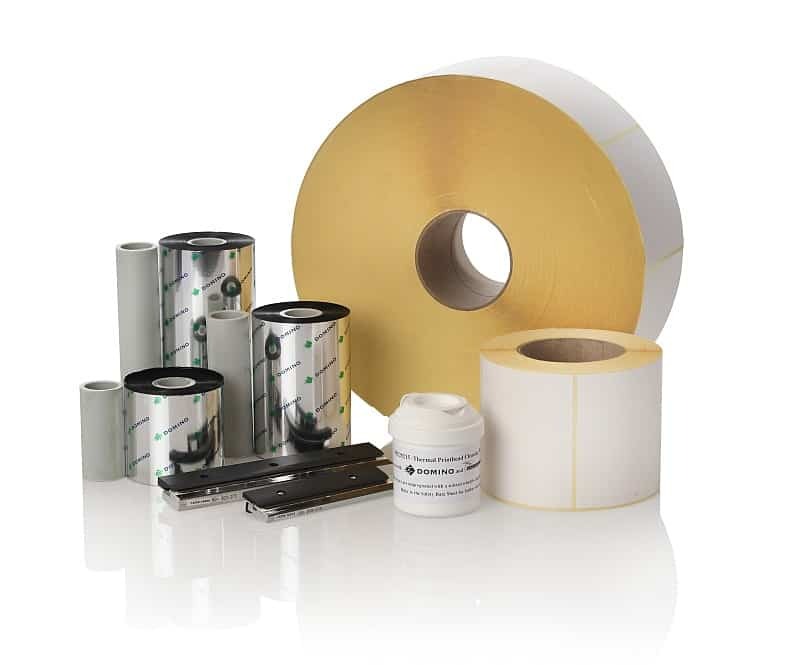 Codico supplies a comprehensive range of Domino fluids, ribbons, labels, spares and consumables designed specifically for the optimum performance of Domino coders. These include EUPIA compliance for food packaging; EU and FDA compliance for direct food contact, including Kosher approval. For the electronics sector we have a range of inks with declarations for their heavy metal-free and halogen-free status, along with approvals from a number of key aerospace companies. Across this wide range of sectors, products are often coded on similar production lines including conveyors; traversers; cable, wire and harnesses; and labelling, shrink wrap and packing lines. Products coded can be discrete, such as bottles, or continuous such as vertical form fill and seal (VFFS). 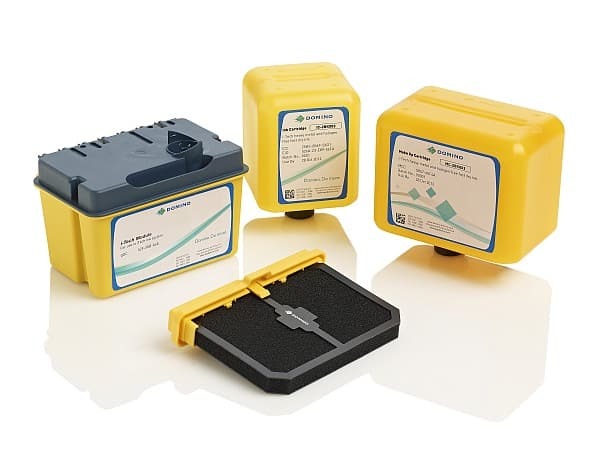 Each of these also place demands on the ink/printer combination – and we understand these well! With over 200,000 printers installed worldwide we have a very broad experience in varied applications as well as a good pedigree supporting a wide range of multinational, regional and national companies – as well as small companies who are equally important!